• A public event: ‘ReWired and Reading: Sonja Sohn In Conversation’ on 22nd June, 7.30pm at Liverpool Philharmonic Hall (Rodewald Suite). 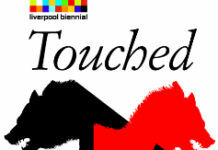 Charitable fundraising event for Merseyside Community Theatre (tickets £10). • A community event: ‘Shakespeare: It Aint No Thing’ on the evening of 21st June. Sonja Sohn, who played Detective ‘Kima’ Greggs in every series of The Wire, is visiting Liverpool later this month to support The Reader Organisation’s Merseyside Community Theatre project, which culminates in four performances of Romeo and Juliet at Croxteth Fire Station 26th – 28th August. Jane Davis, Director of The Reader Organisation, met Sonja on a recent trip to Baltimore and found out about ‘ReWired for Change’: helping at-risk young people to build on their courage and success and improve their standard of life. “I am absolutely thrilled to meet the people of Liverpool and the fans of not only The Wire, but The Reader Organisation as well. When I met Jane we spent hours getting to know one another and swapping stories of our experiences working in deprived communities. “I was impressed by Jane’s passion and level of commitment to those The Reader Organisation serves and am delighted to participate in an event which supports such important work. At 7.30pm on Tuesday 22nd June, The Reader Organisation presents: ‘ReWired and Reading’ at Liverpool Philharmonic Hall (Rodewald Suite). At this charitable fundraising event, Sonja Sohn will talk to Jane Davis, Director of The Reader Organisation, about her life, being a punk poet, getting into acting and The Wire, and her decision to put her professional life on hold for a while in order to set up a not-for-profit company, ReWired For Change. Tickets cost £10 and are available from Liverpool Philharmonic Box Office: 0151 709 3789 / www.liverpoolphil.com. Prior to the event on Tuesday evening, on Monday 21st June, Sonja will be in north Liverpool, taking part in ‘Shakespeare: It Aint No Thing’ with local actor, Steven McGowan. “Who’d have thought when I left my job that I’d end up reading with Kima! Merseyside Community Theatre is a fabulous project to be involved in and I’ve enjoyed every minute of it so far.